This month, as all the world knows, Disney's Frozen was released on DVD. My boys and I saw it when it was in theaters and truthfully, I didn't care for it much then. I thought it was sort of a "Tangled rip-off" in that the characters were sort of the same as in Tangled only set into a snowy atmosphere. I didn't think the story was that interesting and I didn't care for the Broadway-esque soundtrack. As my opinion seemed to differ so drastically from pretty much everyone else I knew, I decided not to do any nay saying but wait until Jonathan had a chance to see it. The day it came out on DVD we rented it and watched it as a family. I tried to watch it differently and find things to like about it. Alas, it was a flop once again as far as I was concerned. (Jonathan didn't think it was that great either.) Only in watching it a second time I found that I resented the movie a little more because the story isn't very complex, the bad guy is hard to point out, and the entire thing is staged as a Broadway musical which leaves me feeling like they are peddling merchandise at me. When I watch a movie I want to be entertained by an original, unique thought presented in a tasteful manner. Instead I felt like I was being marketed to. I felt like they cared more about toys and future projects than the original work which is required to win me over in the first place. Give me Tangled any day. I love Rapunzel. Of course, neither Elsa-of-the-movie or Kay-of-the-book are truly free and love (or, better yet, good truth) does win in the end but I am a little unsettled by putting such words about the dissolution of right and wrong into a climatic, enthusiastic and triumphant piece of music for little children to go around singing. I think the book makes much more plain what evil had distorted and how truth prevailed. I'd rather read the story, personally. Bookworm1 (age 7) - He liked the movie better. Why? Because he liked watching Elsa build the ice castle and he thought it was a much more impressive looking castle on screen. Bookworm2 (age 5) - He liked the movie better. Why? Because of the snowman who does not appear anywhere in the book. Bookworm3 (age 2) - She liked the movie better but couldn't explain why. So there's that. 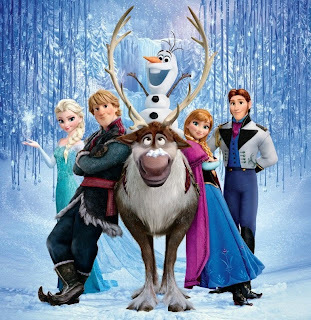 I'm not so very adamantly opposed to Frozen that I minded my kids seeing it once (or twice) but it's not a movie that we're choosing to ever own. I think there are simply better films out there with clear and more complex stories. But watching the movie did "force" us to read the actual story and for that much I am grateful. 2. The Silver Chair (which we are currently in the middle of reading). 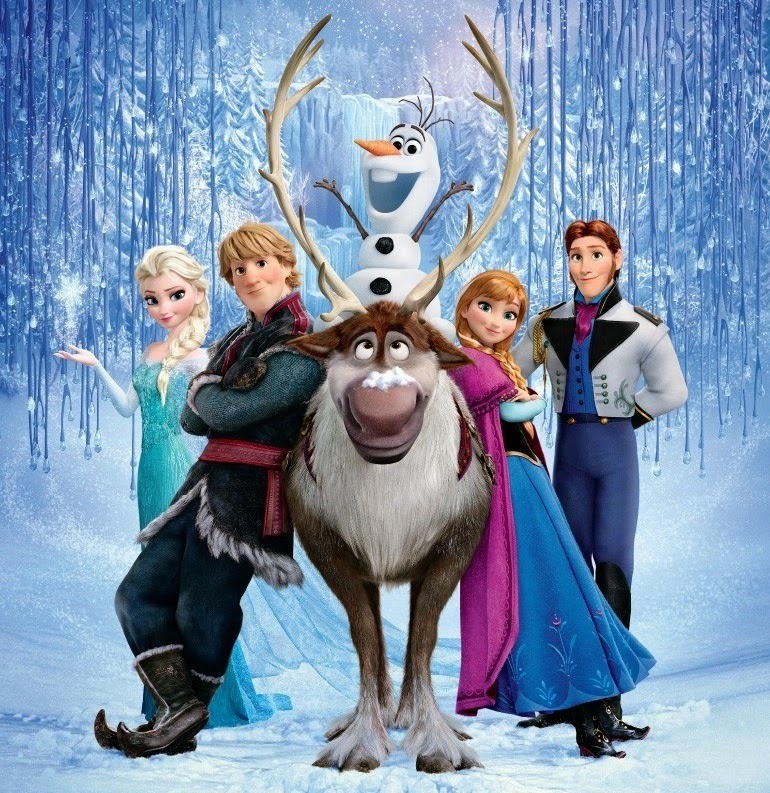 We saw Frozen in the theater and I admit that I liked it but didn't absolutely love it. I mostly didn't see anything offensive in it. My girls, on the other hand, do love it. I didn't even realize it's a take-off of The Snow Queen for done reason. I'll definitely be on the lookout for it at the library. (In fact, I think I brought a new copy home from the library long about the time Frozen was at the theater, but we never got around to reading it.). Anyway, yes. 8 can see how it would've been very helpful to read it before reading Breadcrumbs. I'm SO glad you joined in this month! I too thought Frozen was "ok for my kids to watch a time or two but no reason to own". We just rented and watched Frozen this week for the first time. I didn't like Elsa's song that has become so popular, but I did appreciate the theme that love means sacrificing for another's needs as opposed to falling for someone and defying parents and everything else to get what one wants (a la The Little Mermaid and other Disney films). It cracked me up when Kristoff kept saying to Anna, "You were going to marry someone you JUST MET?!" because that's the usual Disney way. Elsa even learns that hiding away in her ice castle doing her own thing is not the right way to go. I didn't think it was any more Broadway Musical-esque that any other of their films. 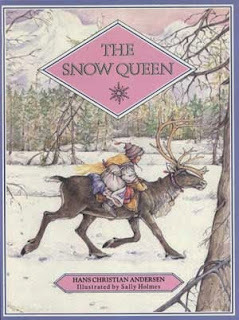 I did see somewhere that it was based on The Snow Queen and now I want to read it. I'm not surprised at all that it varies so much from the original - I think most people these days would be shocked to read the originals of most fairy tales and find out that they're different from what they thought. Appreciated reading your take on Frozen, as Natalie and I (finally?!) watched it last night. It was entertaining, but I don't really see what all the hype is about. I would watch if again, but it's not "destined to be a classic" (as the cover says) in my house!